7DAYS EuroCup: Top 10 Dunks of October! 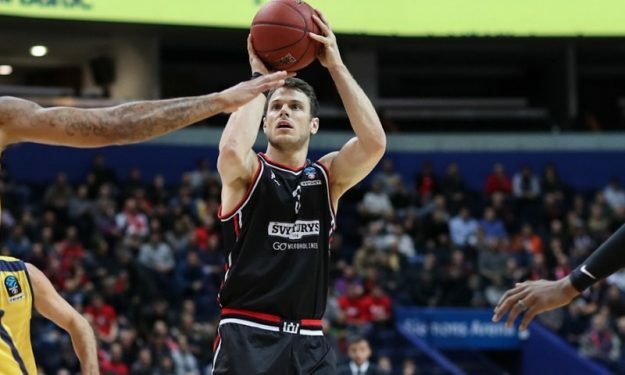 Chris Kramer punished the rim and climbed up to the top spot in 7DAYS EuroCup Top 10 Dunks of the Month. EuroCup’s first month of action was full of unbelievable dunks, but you could now remember the ten best of October. Chris Kramer‘s poster on Giorgi Shermadini got first place honors, while Rokas Giedraitis, Jamil Wilson, Dominique Sutton, Zach Auguste, Gerald Beverly, Kenny Gabriel, Javonte Green, Jalen Reynolds and Marin Mornar summed up the Top 10.